Dallas' ABC affiliate WFAA-TV Channel 8 traffic reporter had a message for a woman who questioned her wardrobe choices. 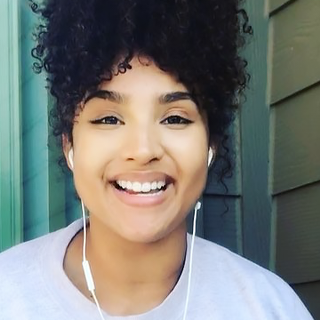 Demetria Obilor had thousands of social media users supporting her stance, including Chance the Rapper. Here is Obilor in her own words below. Also check out the WFAA-TV interview following the social media response to her viral video. The [AUDIO] from Black America Web and the Tom Joyner Morning Show with Jacque Reid's 'Inside Her Story' segment is below as well. It started when a WFAA viewer took to Facebook last week to call out Obilor’s appearance. Obilor has been a TV traffic reporter at the Dallas station for just two weeks. She was previously a traffic reporter at KLAS-TV in Las Vegas where she received a racist email regarding her hair style. She talks to Jacque Reid about her response and speaking out against body shaming. Quite a week for Demetria.